Did you really think you were going to get through May 4 — or, as some joker in your office called it all damn day, "May the fourth be with you" — with only one Star Wars-themed news item? Think again, as reports indicate a new Boba Fett film is on the way. Between the official episodic Star Wars titles, Disney plans to release stand-alone anthology films. The first is called Star Wars: Rogue One. It will be directed by Gareth Edwards and is due in 2016. 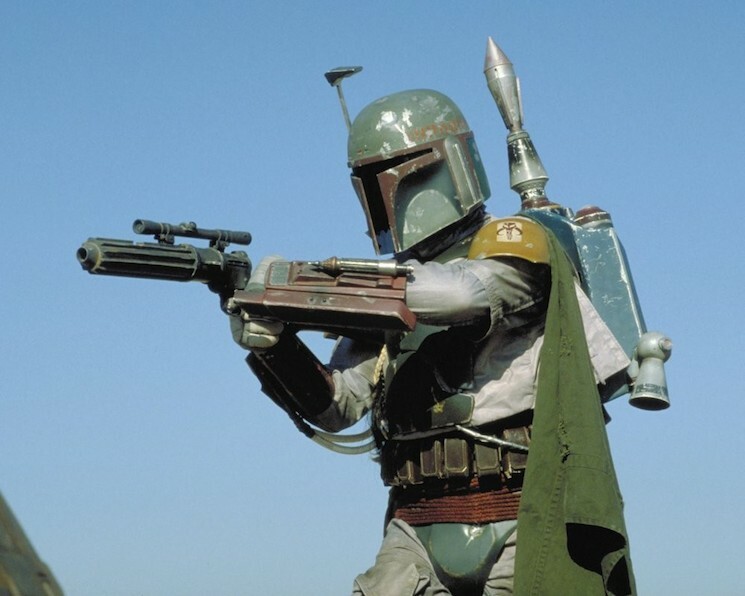 Today, The Wrap reports that the second will be a Boba Fett origin story. The helmet-adorned character first appeared in The Empire Strikes Back and, despite his tiny onscreen appearance, quickly became a cult hero. Little else is known about the film, though it's expected to arrive in 2018. Director Josh Trank was initially attached to the project, but announced he was no longer working with the Star Wars franchise on Friday (May 1). Though he claimed the decision was his own, The Hollywood Reporter suggested that it was because he developed a bad reputation while shooting Fantastic Four. Either way, no matter who helms it, we're most likely getting a Boba Fett movie in 2018.